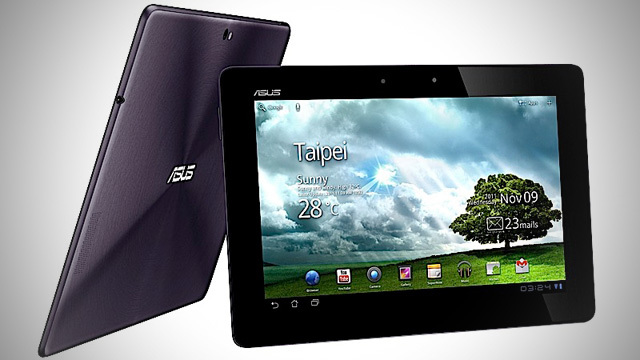 If you are looking for a new tablet, you may want to check out the Asus Eee Pad Transformer Prime Series. The newest units in this series are the first tablet devices to use the new Tegra 3 processor which is screaming fast. This device runs Android 4.0 Ice Cream Sandwich. These tablets are very light and thin, just .33 inches and 1.5lbs, and incorporate more i/o jacks than either the iPAD or the Samsung Galaxy. They have a docking port for a keyboard, a micro-HDMI port for hookup to TV or other display, a micro-SD card slot, and an audio jack. It has an impressive 8 megapixel auto-focus rear camera with LED flash and 2 megapixel front camera for Skype users. The new models in this series have a well-engineered brushed aluminum casing, and an optional dock-able keyboard that is aluminum as well. The keyboard pairs with the tablet to add only .41 inches and 1.18 lbs. In addition, when the tablet is docked to the keyboard, it recognizes the additional USB port and SDHC card reader. Even newer models are due out in a few months with 1920-by-1200 resolution capable of playing 1080p video. The package with keyboard will run around $750 which is not too far from the price of a laptop, but the flexibility and convenience may be just what is needed if you are looking for a high-performing tablet.